Dog Ear Publishing, 9781457518942, 100pp. STC is proud to announce a newly commissioned adaptation and translation f Friedrich Schiller's Wallenstein by former Poet Laureate Robert Pinsky. 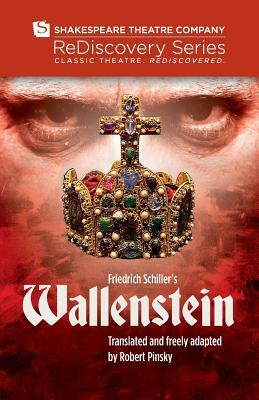 Wallenstein, one of Germany's greatest dramatic works, follows the famous general Albrecht Wallenstein at the height of his influence and power during the Thirty Years' War. Leading Europe's most powerful army, Wallenstein is caught between his ambition and his Emperor's growing distrust. He must decide either to stay loyal to his king and lose his power or to betray his country for greater gain. STC Artistic Director Michael Kahn envisions this epic story of war, intrigue and loyalty tested. Wallenstein was commissioned through the generous support of The Beech Street Foundation.